Robert Lawrence Stine was born October 8, 1943 to parents of Jewish decent. His mother was a homemaker and his father was a shipping clerk. The first time he started writing was when he was 9 years old after finding a typewriter in the attic. Even though he's considered the Stephen King of children's books, Robert first began his writing journey by creating short joke books. He first wrote humor articles and comic strips for the school paper and his short funny stories were regularly featured on the front page of the school paper. In 1965,after graduating from Ohio State University with his Bachelor of Arts degree in English, he moved to New York to pursue a writing career. In 1986, Robert wrote his first horror novel, Blind Date, and was also the co-creator and head writer of the Nickelodeon Network show, Eureeka's Castle from 1985 until 1995. Forbes included him in their list of the top 40 highest paid entertainers of 1996 and 1997 after creating the Goosebumps horror series. Subheading *optional*mpers because they make it easy for children to remember and leave space to add extra details if they want to impress (and scare) their camp mates. As of 2008, R.L. Stine has sold over 400 million copies of his books. This includes his joke books as well as his popular horror series. 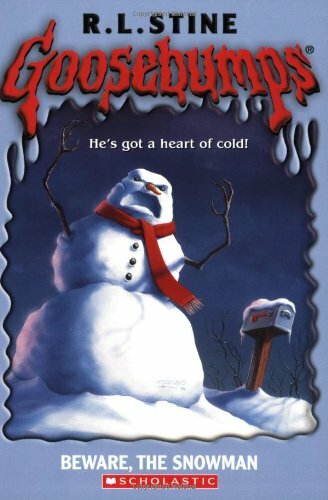 Nickelodeon even made the stories from his Goosebumps series a television show, but because of the lack of time on television a lot of the details from his books were left out. It's for this reason that children preferred to read the books and many of them even collected the box sets (myself included). He made sure not to make his horror stories too graphic for his young audience. Instead, he managed to create a scary story by describing the surroundings and focusing on the shadows or how someone was breathing. There aren't many scenes in his horror stories that include blood and gore, which is another reason he stands out from Stephen King. He's managed to chill the hearts of children while giving them temporary nightmares by turning something found in most households and turning them into something that creep in the night or come from beneath the sink. 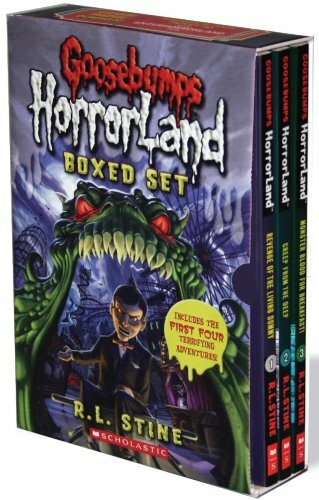 The Goosebumps series has become popular among young campers because they make it easy for children to remember and leave space to add extra details if they want to impress (and scare) their camp mates. You'd think that parents wouldn't want their children reading books and watching television shows that will give them nightmares, but because the blood was usually green or purple (or blue) it made it easier for parents to explain to their children that the stories can't possibly be real because blood isn't the same color of the blood in the stories they've been reading. Another reason parents don't mind buying their children the horror stories from this horror writer is because the series is something they're familiar with. They have known of the series for years and have probably done the research. The fact that R.L. Stine is such an aged writer who managed to keep things pretty modest while still managing to be scary, is something that has gained the trust of parents. There aren't many parents that don't enjoy seeing their child read more. What's even better is watching their child read something they enjoy. For once, parents have a bit of hope that they can purchase their child a set of books instead of an overpriced game console for christmas or their birthday. Parents are always fans of saving money while keeping their children happy. Even though this horror writer's intent was to appeal to children, even adults enjoy reading the Goosebumps series. They even get scared sometimes and might check under their bed for themselves and their child's closet. Not just for their children, but to reassure themselves as well. Individuals shouldn't be ashamed. They're not being childish, the author is just that good. Not a bad affect for a kid who found his passion with an old typewriter in an attic.